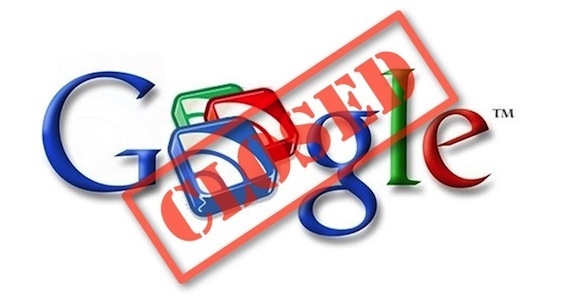 Link Love Wednesday: Goodbye, Google Reader! Happy Wednesday, friends! Today is June 19, which means we are less than two weeks away from the discontinuation of my favorite RSS reader, Google Reader. Ever since before I started blogging (my third WordPress anniversary was this week! ), I have used Google Reader to track all of my favorite blogs, but on July 1, this feature will no longer be available. For all of my fellow nerds, July 1 will be a very sad day. This week’s links not only focus on our usual array of eclectic topics, but on how to cope with the end of Google Reader! Andrew from Shut Up Dad compiled a bachelor party checklist that everyone needs to consult, bachelor or otherwise. From fun hats to fanny packs, this bachelor will be one you won’t soon forget. This article poses the question, “How ready is America for gay-themed advertising?” A few of the bigger brands have released some LGBT-related ads that have set off a debate among consumers (read: bigots) on how visible the gay community should be in commercials. It is definitely an interesting article no matter where you stand on the subject, although I personally don’t understand what the big deal is! Disney is cornering the market on Day of the Dead. This article discusses some of Disney’s more controversial choices, including its presence in the Mexican holiday and the transformation of the latest princess, Merida. I’ll admit it – I’m just as guilty of taking selfies as the next 20-something girl! Of course, our love for snapping photos of ourselves has not gone unnoticed by marketers. International Picnic Day just took place! Even if you missed it, Gala Darling poses some must-read advice for throwing the ideal picnic. Here is a throwback to my indie music-loving early teen years! I just rediscovered this instrumental song by The Album Leaf and I can’t get enough. Enjoy!